Incomedia, a developer of website creation software, has announced the launch of WebSite X5 version 13. This latest version includes parallax scrolling and animation effects as major features of the release. 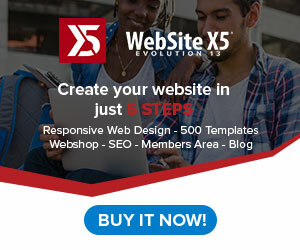 From one-page sites to more complex online stores, WebSite X5 Professional 13 and Evolution 13 brings to the table endless possibilities to create engaging sites with minimum effort (no coding skills or graphic design knowledge is required). 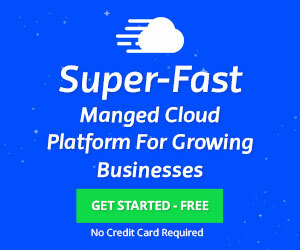 Available in 32-bit and 64-bit version, this do-it-yourself software is up to 50% faster and more stable. The software’s responsive features and site management have been enhanced to meet the needs of increasing numbers of mobile users. 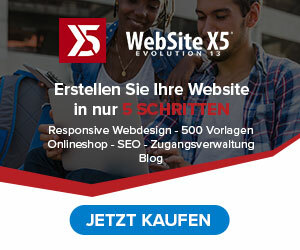 Now in WebSite X5 version 13 you can create a single layout and decide how to change to different resolutions with the new Responsive Bar. The result is a 100% mobilefriendly customised website. Finally, the new Professional 13 WebSite X5 Manager is a free app to monitor the activity of sites created with WebSite X5 builder directly from iOS and Android devices. Users will be able to process store orders, check inventory, respond to comments and receive real-time notifications from anywhere. Considering that mobile sales are growing 200% faster than the rest of online purchases, this app may be essential to get the most out a mobile-friendly site. Plus, a better management is a guarantee of reliability.